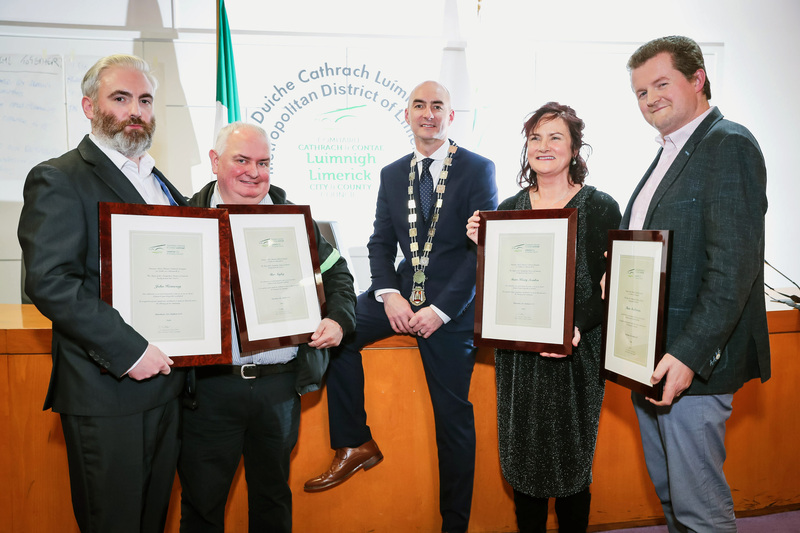 On Thursday 22 November 2018, John Hennessy, Ber Angley, Máire Keary-Scanlon and Shane Curtin were honored by the city of Limerick for their contribution to the musical landscape of the city. 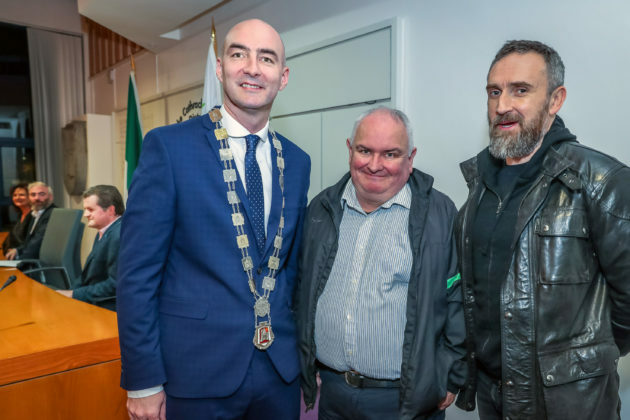 People from the music community came out in support at the mayoral reception at City Hall and Noel Hogan was one of them. 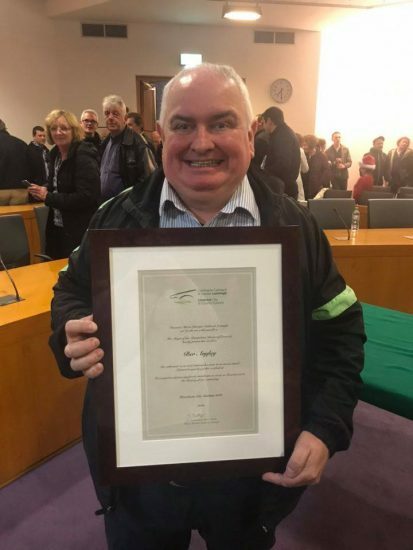 Professor Eoin Devereux spoke about Ber’s achievements. Ber also played a part in getting Limerick’s most successful music export signed to a major label. He played a very significant role in the history of the band, booking them for The Stables Bar and rostered them on national tours of the colleges in their early days. Ber booked The Cranberries for a Rag Week gig at The Jetland on Ennis Road. (where Dunnes Stores / Woodies is now). Prof Devereux told the audience, “There were 32 A&R men from the record industry hoping to sign The Cranberries. Congrats Ber. Thanks for everything. I remember the first gig at UL. They were still Cranberry Saw Us then. A freezing cold January evening and The Stables was packed. Students just back after the christmas break. It was amazing to see a small waif of a girl bring a rowdy student to absolute silence. We knew we had something special that night. Thanks for this comment. Great memories, awesome! Any idea of what ‘Stables was packed’ means? 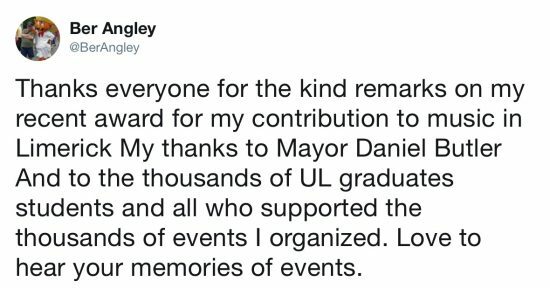 Curious to know how many people attended. Do you have any photos or memorabilia of the show.